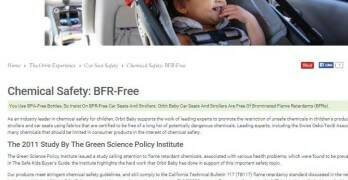 “If chemical-conscious moms spent as much time advocating against flame retardants in car seats as they did trying to find one without flame retardants, we wouldn’t be here.” That was the response from Green Science Policy Institute founder Arlene Blum when asked what parents could do about concerning chemicals in car seats. 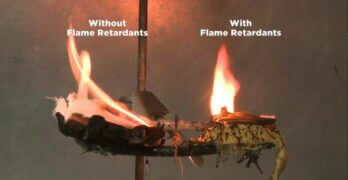 Blum is one of the foremost experts on flame retardants in consumer products. 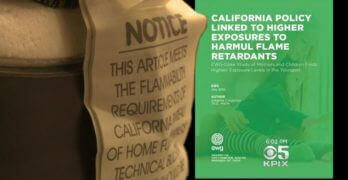 Her research was the catalyst for the decision to remove Chlorinated Tris from children’s clothing in the ’70s and led to the revision of California’s furniture flammability standard, which can now be met without retardants. 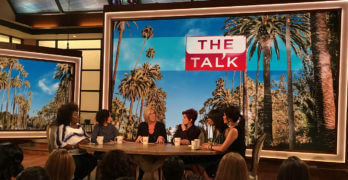 However, many concerned parents say they don’t know who to contact or where to start. So, ahead of our most recent story, we reached out dozens of lawmakers with oversight of the National Highway Traffic Safety Administration (NHTSA) and compiled this resource. 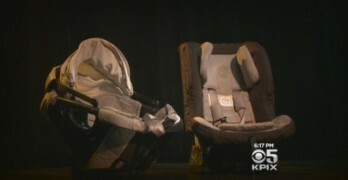 It began with a consumer story about alleged false advertising and expanded into a year-long KPIX-CBS investigation exposing apparent legal loopholes and outdated federal regulations that may systematically expose millions of children to concerning, even known-cancer-causing, chemicals in their car seats. 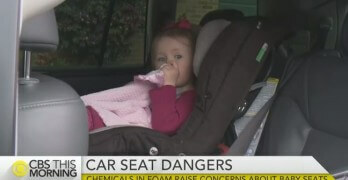 In light of the more than 20 million U.S. children exposed to chemical flame retardants in car seats daily, along with increasing concerns about the health effects of those chemicals on children—and the lack of evidence that they provide a significant safety benefit in a car seat—many believe it is incumbent upon NHTSA and Congress to accelerate research into an alternative flammability standard for car seats that does not ostensibly require flame retardants. 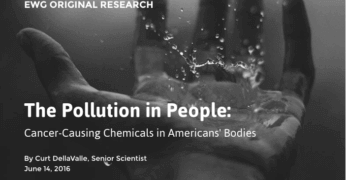 We shared our research with three Congressional committees and more than 60 individual members of Congress, focusing primarily on the majority members who currently have the power to call hearings and get bills passed. Below, you’ll find a summary of the responses to our investigation from the congressional committees with direct oversight of NHTSA. Most notably, two committees and three lawmakers have taken action so far. Members of both the House and Senate Commerce Committees questioned NHTSA about the standard after reviewing our findings. 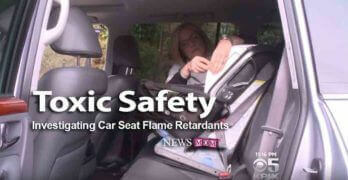 Senator Kelly Ayotte (R-NH) raised the issue at a recent Senate Commerce hearing with the Department of Transportation and requested a separate hearing specifically to discuss flame retardants in car seats. She and Chairman John Thune (R-SD) sent a joint letter to the NHTSA administrator requesting additional information about the agency’s research into the effectiveness of its 44 year old standard. However, Rep. Jared Huffman (D-CA) has gone significantly further. 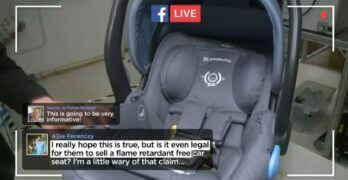 After contacting NHTSA and commissioning a nonpartisan congressional research report, Huffman has now introduced legislation that would require NHTSA to update its flammability standard for car seats. 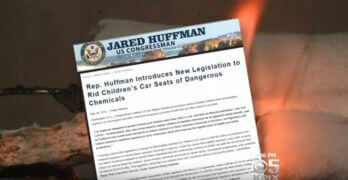 Huffman’s legislation would modernize car seat regulations by requiring the National Highway Traffic Safety Administration (NHTSA) to update its flammability test for children’s car seats from an “open flame” to a “smolder” test. 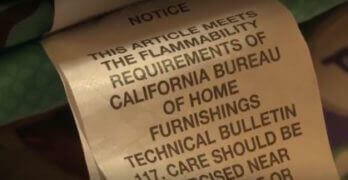 California Governor Jerry Brown has approved a similar shift for furniture sold in the state because of concerns regarding toxic flame retardant chemicals. 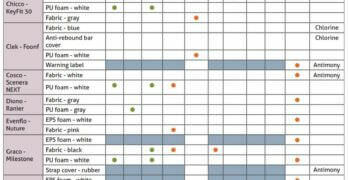 This smolder test is a more appropriate standard for the types of fire hazard risks actually present in automobile crashes, and will ensure that the use of arbitrary and inappropriate standards do not force manufacturers to apply dangerous chemicals unnecessarily. 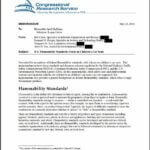 While the agency has now committed to beginning research into an updated flammability standard, Huffman cites the nonpartisan congressional research report he commissioned following our investigation as evidence that legislation is required. 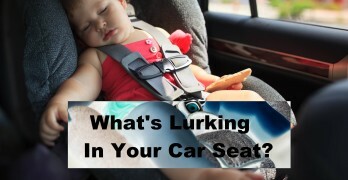 “Because any administrative changes to NHTSA’s flammability standard might take years, legislation is required that will force the adoption of a more reasonable smolder test for children’s car seats,” said Huffman. 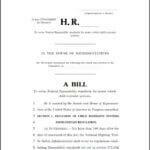 The bill was introduced into the House Commerce Committee. The majority (Republican) members of the House Commerce Committee currently have the power to expedite the legislation. However, it would likely require support from key members including Chairman Fred Upton (R-MI) and Vice Chairman Marsha Blackburn (R-TN) to see any significant movement during this session of congress. 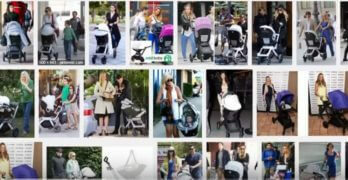 This Change.Org petition by the blogger “Natural Baby Mama” is calling on lawmakers to immediately support and pass Huffman’s legislation. We shared our findings with more than 60 members of Congress who have oversight of NHTSA. So far, none have signed on to support the legislation. Below you will find the responses we received from each committee that we reached out to and a selection of key members on those committees. Of the committees we reached out to, the most responsive by far was the Senate Committee on Commerce, Science & Transportation. 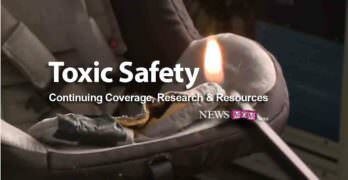 After reviewing our findings, the Senate Commerce communications director announced a hearing where members would have the opportunity to question the Department of Transportation about the 44-year-old flammability regulation that critics say needlessly exposes kids to concerning–and, in some cases, cancer-causing—flame retardants in car seats. 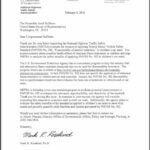 The Senate Commerce Committee intends to query NHTSA about its flammability standards. In addition, Senators on the committee will have an opportunity to raise concerns about safety and transportation policy at an upcoming hearing. Senator Kelly Ayotte was the only member to raise the issue at the hearing. In response, Transportation Secretary Anthony Foxx read from a prepared statement that was nearly word-for-word the same statement NHTSA provided to KPIX in February. Since then, our investigation has discredited many of the agency’s assertions and called into question the relevancy of statistics cited by the agency. Before the hearing, we provided committee members with data that clearly contradicted many of the assertions made by Secretary Foxx. However, due to limited time, lawmakers did not ask follow up questions. The hearing was intended to address a variety of transportation issues, but Ayotte has requested a separate hearing to specifically discuss flame retardants in car seats. Additionally, Ayotte and Commerce Committee Chair, Sen. John Thune (R-S.D. 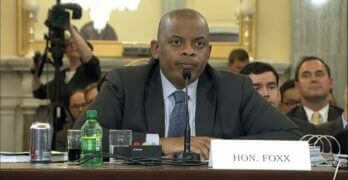 ), sent a joint letter to the NHTSA administrator asking followup questions. Here is the full list of members of the Commerce Committee, which has oversight of NHTSA. Below is a list of the members we contacted along with their response. Kelly Ayotte New Hampshire (202) 224- 3324 I wanted to share with you that we’ve actually just called for a hearing of the Commerce Committee on this very topic. We’ll be putting out a press release on this sometime this week, but the letter we sent is attached here. Deb Fischer Nebraska (202) 224- 6551 Sen. Fischer’s subcommittee would not have relevant jurisdiction on this issue. Roger Wicker Mississippi (202) 224- 6253 Jurisdiction belongs to the Commerce Committee, specifically the Subcommittee on Consumer Protection, Product Safety, Insurance, and Data Security. Sen. Wicker is not a member of that particular subcommittee. Roy Blunt Missouri (202) 224- 5721 In general, the subcommittee chair, Sen. Fischer, and/or the fill committee chair, Sen. Thune, would be in a position to call a hearing. You may want to reach out to those offices as well. I will do the same to see if this issue has come up and is being discussed. 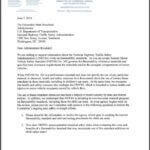 Members of the House Energy and Commerce Committee also reached out to NHTSA after reviewing our findings. Of the 30+ members of the committee that we directly reached out to, most declined to comment and instead pointed us to the committee statement below and Facebook post on the topic. Thanks again for bringing the issue to our attention. We’ve reached out to both NHTSA and CPSC, and are waiting NHTSA’s completion of its important work. Also wanted to flag this Facebook post for you highlighting both your work and the station’s. I will be in touch when I have more information. 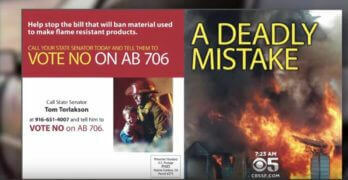 We also inquired about specific details, including which tests NHTSA is planning to perform, how much input the agency will solicit from the chemical industry or the fire scientists involved in revising the furniture flammability standard, and whether there would be a third-party independent review of NHTSA’s findings. Schneider clarified that the majority of their communications with NHTSA have been verbal, and they’ve not received a formal response yet. Adam Kinzinger Illinois (202) 225- 3635 The Congressman, as a member of the Energy and Commerce Committee, will join his colleagues in looking further into this issue based on the information received. Mike Pompeo Kansas (202) 225- 6216 Congressman Pompeo has no comment on this issue. Ed Whitfield Kentucky (202) 225- 3115 It is our understanding that the Energy and Commerce committee has contacted both the National Highway Traffic Safety Administration and the Consumer Product Safety Commission on this issue. Leonard Lance New Jersey (202) 225- 5361 Thanks for this. I’m going to make sure the Energy and Commerce Committee staff is seeing this request. Joseph Pitts Pennsylvania (202) 225- 2411 Thanks for your inquiry. I would suggest reaching out to Dan Schneider on the Energy and Commerce Committee, as he is the point person on the issue. Tim Murphy Pennsylvania (202) 225- 2301 I would suggest getting in touch directly with the Energy and Commerce Committee regarding this request. David McKinley West Virginia (202) 225- 4172 The Committee is looking into the issue, has reached out to NHTSA and CPSC, and I am sure they will keep you updated upon NHTSA’s completion of its important work. We initially reached out to 30 majority members in the House Committee on Transportation & Infrastructure after an interview with Rep. Huffman, a minority member of that committee. 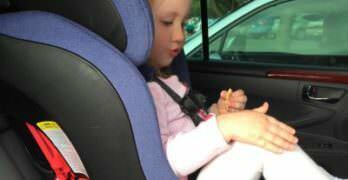 Huffman was the first, to our knowledge, to question NHTSA about the flammability standard in car seats. We shared a summary of our investigation with each of the members and asked for a response, or even a call on background to discuss the issue. Before any of the members had the opportunity to respond, the committee’s communication director sent us the following response and essentially instructed them not to comment. 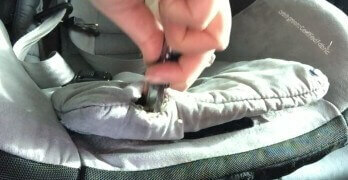 The issue of flame retardant car seats is not within the Transportation Committee’s jurisdiction. Think of it like this in terms of highway and vehicle safety/NHTSA – The roads you drive on are Transportation Committee; the things on the roads are Energy and Commerce. While it’s any member’s prerogative to weigh in on any issue, our committee members wouldn’t necessarily be familiar with it simply based on their seat on the committee. I believe it wouldn’t be productive to comment on an issue that is outside of this committee’s jurisdiction and expertise. Here’s a list of the members we contacted along with their response. NOTE: This post was updated on 5-27-16 after Rep. Huffman introduced legislation and again on 6-23-16 to include details about the Senate Commerce Hearing with the Department of Transportation. 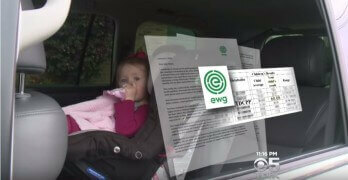 What began as a NewsMom editorial, expanded into a 6-month KPIX-CBS investigation exposing alleged false advertising, apparent legal loopholes and outdated federal regulations that systematically expose millions of children to concerning, even known-cancer-causing, chemicals in their car seats. 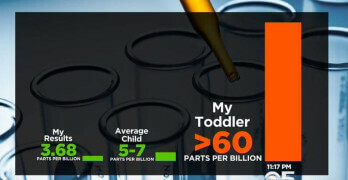 Click above to return to the NewsMom "Car Seat Chemicals" resource page featuring continuing coverage, lawmaker reaction, background data and unique resources to help reduce your child's exposure to concerning chemicals in car seats.